Diplodocus shapes. 1 x bag of confetti sprinkles. 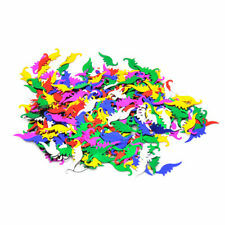 Dinosaur Mix Confetti. BUY 3 GET 1 FREE, BUY 5 GET 2 FREE "BEST OFFER"
68 x 92mm flap. 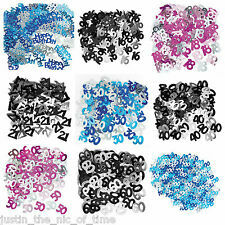 50 SMALL PEEL & SEAL GLASSINE ENVELOPES. EXCELLENT AS WEDDING FAVOUR / CONFETTI BAGS. also used by CRAFTERS and STAMP COLLECTORS. Shapes includes chicks, bunnies, eggs and 'Happy Easter'. 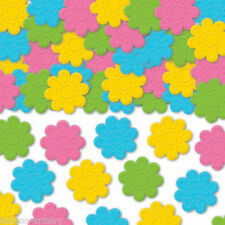 Ideal for Easter parties and celebration or used for a wide variety of Easter arts and crafts. Great for Easter crafts nd decorations. 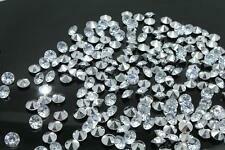 Sprinkle the blink blink diamond confetti on the table. 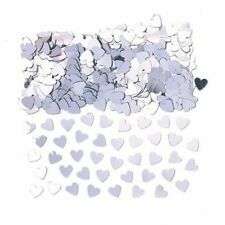 These stunning acrylic scatters are shaped like diamonds and give the finishing touch to your wedding decorations. These are perfect to scatter around a glass vase or candelabra centerpiece for any special occasion. 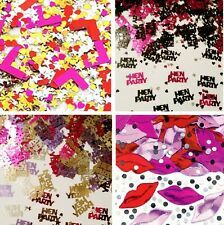 This includes 3 different Styles of confetti. Christening Table confetti / sprinkles. the words 'Christening' are blue. Lots more Christening, confirmation etc goods available. Lots more table confetti available. Black mortar Boards with silver 'CONGRATS' words. make your place settings and table look really special. Noble scattering confetti. sweet snowflake in gold - double-sided glossy. Farbe Gold. 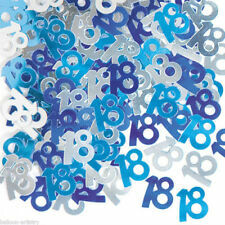 Ideal for card making, gift stickers, decorative and table decorations. Perfect to sprinkle on tables or in invitations for a fun surprise, our jungle confetti includes Giraffes, Lions, Zebras, leaves and dots. Jungle Confetti Product Details 14g net weight. Party Supplies. 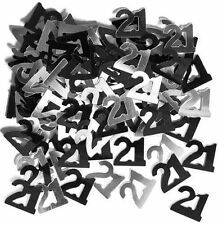 Scatter it on tables, include it in invitations, or use it for a variety of crafting possibilities! 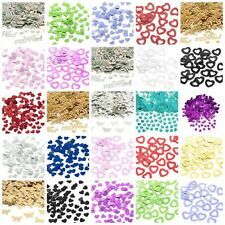 Pitter Patter Embossed Confetti product details 14g net weight. Party Supplies. Assorted colours: pink, purple, blue and yellow. CLAPPERBOARD AND FILMSTRIP CONFETTI. With clapperboard and filmstrip confetti pieces. Sea Life Party Confetti. design includes fish, seahorses, star fish, shells. Functions: put confetti in Christmas cards, invitations, gift bags etc. Type: Christmas Confetti. 1 Bag of Christmas Confetti. - Spread out on the banquet table or anywhere you want to decorate, or use fabric adhesive to stick them on a shirt for fun. Functions: put confetti in Christmas cards, invitations, gift bags etc. Type: Christmas Confetti. Don't put confetti in mouth; It is not suitable for children under 3 years old. 1 Bag of Christmas Confetti. 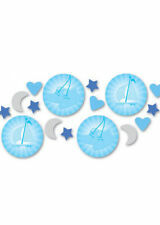 Shower party guests with It's a Girl Baby Shower Confetti, featuring Silver foil hearts and moons and pink stars, with pinky lilac Its a Girl cutouts. 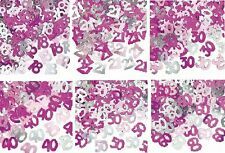 This baby shower confetti adds a lovely touch to invitations, favor bags, and party decor! Our Frozen Confetti can be the snow at any Frozen party! Total of 30 grams of confetti. Disney Frozen. more Frozen party goods available. make your place settings and table look really special. Pink 3d table confetti / sprinkles. made of quality plastic these make a change from the regular table sprinkles. Christening ~ Baby Shower. Look beautiful as a table decoration, but can be used in various crafts, card making, etc.